Another meat processing facility is joining food and beverage processors globally in installing award-winning Global Water Engineering (GWE) waste-to-energy technology, widely applicable to meat works of any size in Australia and the Asia-Pacific. Nicholas meats LLC of Pennsylvania in the US is one of the latest adopters of GWE’s award-winning anaerobic waste-to-energy technologies represented in Australasia by CST Wastewater Solutions, which says such wastewater treatment systems (to be displayed at this year’s Ozwater exhibition in Brisbane from May 8-10) can be readily applied to local applications dealing with paunch, manure and other meat processing waste. GWE’s North American affiliate, Global Water & Energy (GW&E) will provide Nicholas Meats with both an industrial wastewater treatment facility utilising its cutting-edge MEMBROXTM aerobic membrane bioreactor technology, as well as a complete organic waste-to-energy facility to manage solid and concentrated wastes generated at the factory and wastewater treatment plant, using its award-winning RAPTOR® system. RAPTOR® stands for RAPid Transformation of Organic Residues, and is a pretreatment-enhanced form of anaerobic digestion, designed to turn nearly any organic substance into valuable green energy in the form of biogas that is being used to replace fossil fuels at scores of food and beverage plants globally, including dairy, brewery and municipal waste-to energy plants in recent months. Nicholas Meat’s new facilities will be designed to recover both energy and water from waste products generated on site and significantly reduce the impact of the beef and veal processing plant on the local community. “You don’t need to be a big company to benefit from this technology. 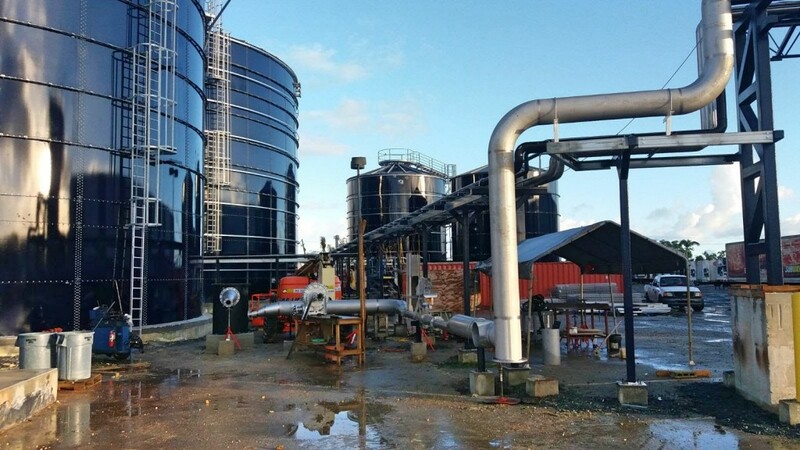 Paunch and manure are rich in biogas and are often just left for composting or land disposal in Australia and New Zealand, when that biogas could be a source of ongoing profits instead,” says Mr Michael Bambridge, Managing Director, CST Wastewater Solutions. “These sorts of environmental benefits could also be genuinely beneficial to forward-thinking Australian meat companies looking to reduce their environmental impact, and generate energy from their wastes and by-products, both liquid and solid. The system also has the ability to accept organic wastes from other nearby facilities thus augmenting the production of green energy and reducing the local community’s disposal issues,” said Mr Bambridge. The RAPTOR® portion of the plant involves an innovative twist on traditional anaerobic digestion, designed to maximize the energy generation from specific wastes. “This world-class technology – which can be applied globally by all community-minded companies with organic waste and wastewater streams – produces both green energy to supplant fossil fuel needs as well as delivering high quality treated wastewater to safeguard community water standards. The standards of environmental protection – and reduction of environmental footprint specified by Nicholas Meat – are a credit to the company as an efficient, sustainable and overall good corporate citizen,” said Global Water & Energy (GW&E) Vice President, Mr. Ian Page. RAPTOR® technology has won a global green energy award from the Institute of Chemical Engineers (IChemE), which represents more than 40,000 chemical, biochemical, and process engineers from around 100 countries. The IChemE Global Awards are known for their celebration of the excellence, innovation and achievement in the chemical, process and biochemical industries, making this recognition so significant and gratifying for GWE, the developer of the RAPTOR® technology and parent company of GW&E. “Utilising the residuals from production as a resource, rather than treating them as wastes, will generate significant value for the Nicolas Meat plant as well as the surrounding community, and will help to transform Nicholas Meat into a truly ‘green’ company and reduce their dependence on fossil fuels,” said Mr Bambridge.